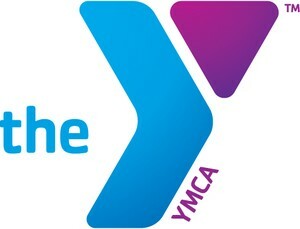 * ... YMCA: If you're like me, you've often wondered what happened to the Kern County YMCA. Back in the day when it was located at 22nd and O streets, The "Y" was an integral part of life in Bakersfield, but a series of missteps has left it all but invisible to the community. But the "Y" is coming back, thanks to the efforts of a dedicated board of volunteers and a new CEO in retired South High teacher and construction company owner Clete Harper. I had coffee with Clete and Dave Wilkerson, a long-time board member who is committed to bringing the "Y" back to the forefront of local non-profits. The Kern County "Y" currently has the lowest funding of any YMCA in the state, and its current location off District Boulevard does not lend itself to easy access. But it still serves hundreds of youngsters, and is expanding its reach with new programs in Delano and Arvin. Yet the need is great for new supporters and funding. How many of us grew up with a family "Y" in our lives? This is something worth our support. 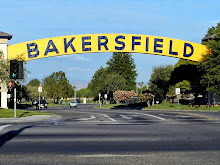 And I would love to hear your personal stories of growing up with the "Y" in Bakersfield. If you want to get involved, call Clete Harper at (661) 837-9622 or Dave Wilkerson at (661) 703-5483. * ... GREEN JIHAD: Fascinating story in Forbes recently arguing that a "green jihad" in California is choking the state's economy just at a time when we should be trying to create jobs. Titled "California's Green Jihad" and written by Joel Kotkin, the story compares our state's environmental movement with the Islamic extremist in Iran. Both movements, he writes, are destroying their economies in the name of a higher calling. Kotkin notes California's employment is now worse than Michigan and our state was recently ranked the worst place in the nation to do business. 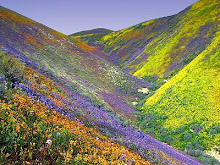 "As with its Iranian counterpart, California’s green theology often leads to illogical economic and political decisions. California has decided, for example, to impose a rigid regime of state-directed planning related to global warming, making a difficult approval process for new development even more onerous. It has doubled-down on climate change as other surrounding western states — such as Nevada, Utah and Arizona — have opted out of regional greenhouse gas agreements. The notion that a state economy — particularly one that has lost over 1.15 million jobs in the past decade — can impose draconian regulations beyond those of their more affluent neighbors, or the country, would seem almost absurd." * ... OILDALE: Reader Ken Barnes wrote to recall the old days of Oildale. "I wonder how many remember the old Rio Grande service station at the southwest corner of Roberts Lane and North Chester, where McDonalds now sits. I had the tall glass gasoline pumps. My dad bought the place in 1946 and my mom, dad, sister and I lived in a very small attached apartment in the rear until we moved out to El Tejon Avenue west of Airport Drive in the late 1940s. Those were the days." * ... LOFTS: The 1612 City Lofts project in downtown Bakersfield is under way again. Workers are installing plumbing and a new roof for the project, which will bring 12 contemporary loft style apartments to the heart of the arts district. The project started three years ago but stalled with the economy. 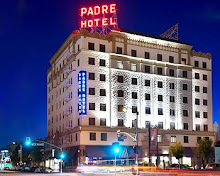 The completion date is set for later this year or early 2012. * ... LOST PUPPIES: Reader Randall Dickow dropped me a heart breaking email about dogs being abandoned on the bike path. "Worse than diapers and other trash left on the bike path are unwanted pets. Sunday morning on my ride out to Darrell's there was a father, mother and two pups patiently waiting at the ramp at Yokuts Park for their owner to pick them back up. It was 7 a.m. and no one was in the park. I tried to corral them and called for a pick-up, but they scattered and I didn't want to chase them towards Truxtun. On my return, the mom and dad were sitting in the same place, but no pups. I was able to get both to come to me and then hold them while a ride came for them. We looked for the pups, but couldn't find them. Mom and dad are at the vets now being checked out. This morning, sis-in-law went to the park and there were the pups who fortunately survived the night without becoming coyote food! Pretty lame on the owner's part to just dump them. We'll find homes for all." 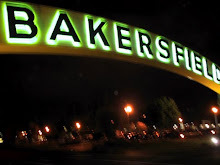 * ... BAKERSFIELDISM: You're a relative newcomer if you remember Freddie's Top of the Hill on the east side, and you're a Bakersfield old timer if you remember it by its original name, Paola's. Another reader, Craig Holland, fondly recalls bowling at Paola's and ordering a vanilla cream Coke. I hope the YMCA does make a comeback. I wondeer what happened to the old Y why did they sell? I know a lot of people who enjoyed all the things the old Y had to offer. My prayer is to one day see it up and running like the "good old days".